German authorities today detained the chief executive of Volkswagen's Audi division, Rupert Stadler, as part of a probe into manipulation of emissions controls. 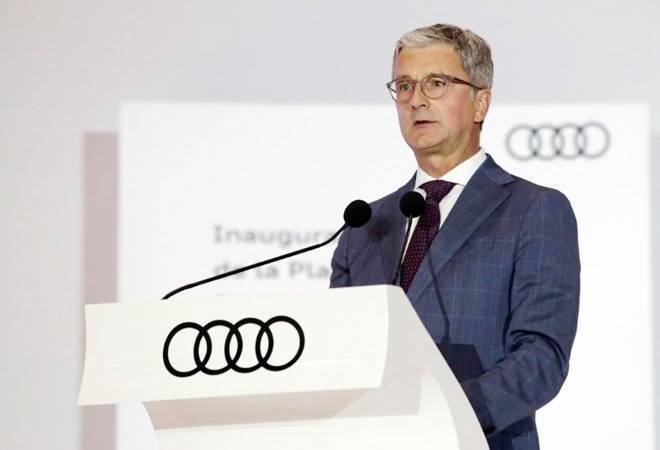 "Audi CEO Rupert Stadler was provisionally arrested this morning," the company said in a statement. A court hearing to determine whether Stadler would remain in jail was ongoing, the company said, adding that it wouldn't comment further due to the ongoing investigation. "The presumption of innocence remains in place for Mr. Stadler," Audi said. Volkswagen shares were down 2.6 percent at 157.60 euros in Frankfurt trading.